The 2017 Toyota Sienna comes in five different trim levels: L, LE, SE, XLE and Limited. It starts at $29,750 and hits $42,800 for the Limited. We recently drove a Limited edition with a premium package and lots of options pushing the price to $50,759. This is the top price you can spend on the van. 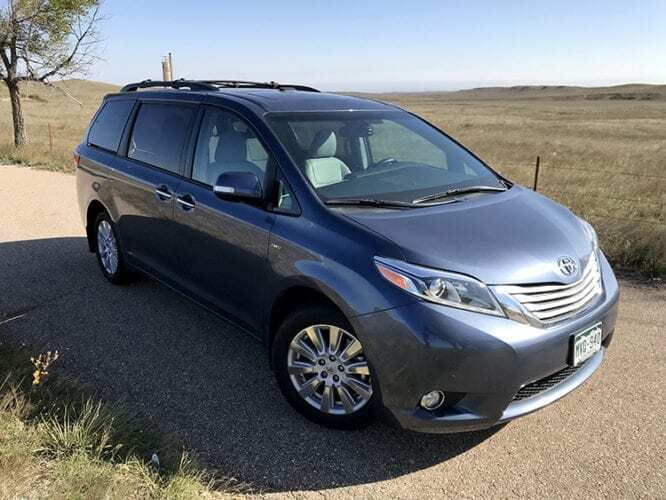 The 2017 Toyota Sienna is powered by a 3.5L V6 mated to an 8-speed transmission which operate flawlessly and the mini-van handles about as well as its competitors on the road. It is EPA estimated to return 18/24/20 city/highway/combined in our AWD test vehicle. A key purchase decision for many living north of the Mason-Dixon line is all-wheel drive or front-wheel drive. The 2017 Toyota Sienna is unique in its segment as the only mini-van offered in AWD. This can be a key purchase discussion since the long wheel base of a mini-van can lead it the rear to skid more than a smaller car. Also, engaging all four wheels during a snowstorm could be the difference between you and the kids digging out or making it to grandma’s house on time. Yes, we are talking about a mini-van being fun to drive. And yes, we are likely nuts, but the SE package is certainly one to look at if you want a more engaged driving experience. The SE uses a retuned sport suspension and steering to make the drive the best it can be. 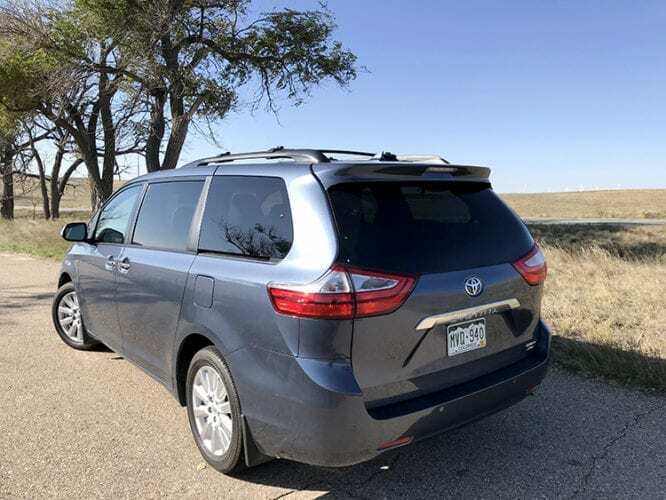 Combined with the air-fin stabilizers (look for plastic triangles built into underside of the exterior mirrors and on tail lamps), the Sienna is literally as aerodynamic as it could possibly be. 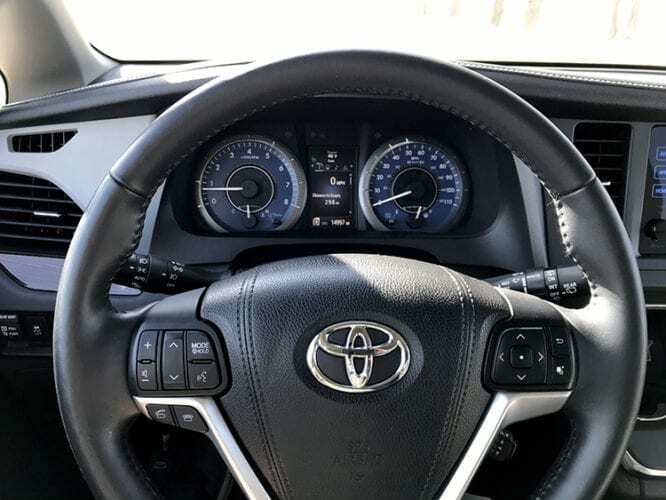 Our test model was the Limited Premium and with its use of chrome and wood accents, dual moonroof, leather seats, Bluetooth connectivity, 7-inch touchscreen and JBL audio, we found a lot to like. 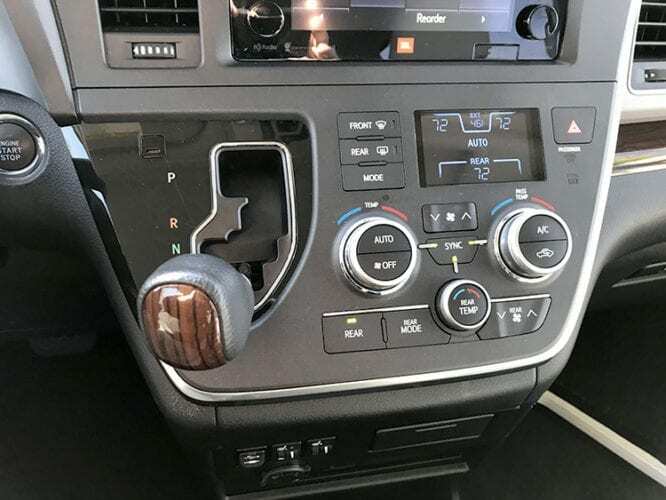 Also, the Sienna offers dash controls to manage the temps anywhere in the vehicle – a big improvement over prior generation mini-vans. 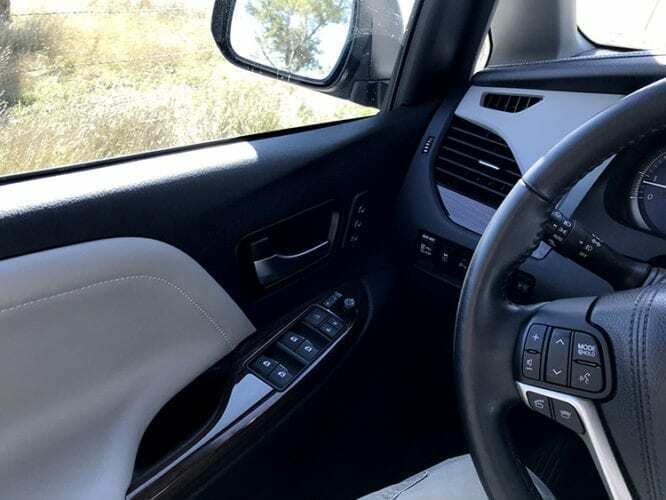 Plus, you can literally open and close the doors and windows including the rear vent window all from the driver’s seat and/or the key fob in some cases. The Sienna is so good, it really gives you pause about not looking at them closer. Finally, the 2017 Toyota Sienna is so kid friendly, it really makes you as a parent reconsider your stance on mini-vans. From the easy access through the dual sliding rear doors to the push button closure located behind the front seats, kids love this mini-van and for good reason. It gives them a great sense of independence being able to climb in, shut the door and buckle themselves up. Plus, you can monitor their activities better thanks to the conversation mirror built into the overhead storage bins as well as quickly adjust the temperature for them. Finally, the flexibility of seating with a full third-row and the taller rear storage thanks to the engineers using the space behind the axles for additional space. In the end, the only things we wish Toyota would reconsider is Apple Carplay and Android Auto usage as well as not including a built-in vacuum like their competition. Yet, Toyota’s high marks for reliability and AWD availability put this mini-van at the top of our list.